Need to Replace a Water Feature Pump? 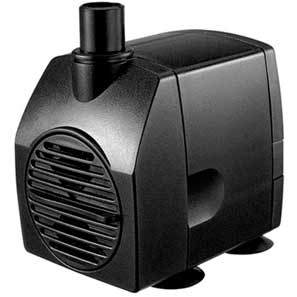 Welcome to the PowerBee Range of Quality Water Feature Pumps Powered by Mains & Solar Energy. Easily Replace Your Existing Feature Pump with our Solar Pumps. Its So much easier than You might think, Its just a Pump and Tubing..
You can easily replace nearly any Pump on any Garden Water Feature, and Convert it to a Solar Powered one. We have been Specialists in this Field for 10 Years, designing our own Famous Sunspray Solar Powered Pump Range. Our Solar Pumps are Designed for Consistent Flow, they are Built with Only Quality Parts and Operate Longer and more Consistently than any other in the UK. We Pushed the Concept of Battery Backup on Feature Pumps. Our Legendary Sunspray Range is now a household name. Cable Connectors a whole Range of Fountain Feature Pumps and Accessories. We have everything You Need to make a Water Feature come back to Life. If You Need ANY advice then please call 01580 881345. We are very happy to try to help and advise as we will know what You need.